As alternative Olympic programming continues to be locked in, Nine will return the sitcom Big Bang Theory which it removed after poor ratings. It will replace Two and a Half Men in the 7pm weeknight slot from Monday August 11. Canal Road will also return at 10:30pm Sunday August 10. It also screens 10:30pm Tuesday Aug 12 and Wednesday Aug 13. In ‘burning off’ the eps over the Olympics Nine still qualifies for local drama points. I love Big Bang Theory and have been waiting for it to come back on for ages! Yea to WIN! Thank you, thank you, thank you!! I’m surprised with the fascination for BBT. As a computer nerd myself I found the whole show a bit unrealistic in he way some stories were presented. I must admit that I liked some chemistry among the “nerds”, but everything else was just too much. Maybe there was a lot of stereotyping involved as well. Truly astounding comment there, RichoTB. Arrested Development was critically adored, award winning, devastatingly clever, and most importantly hilarious. Big Bang Theory is possibly the single worst sitcom ever made. I’m actually amazed anyone likes it, what with its incredibly obtrusive laugh-track, fake techno-babble laden script and a level of humour one normally graduates from after primary school. Very diligent of you to keep score. Yes it’s back with eps 8, 9, 10 in the week of Aug 10. It stands to reason 11, 12, 13 should air the following week. I thought the show was a mess from ep 1 and the marketing couldn’t decide what it was. Only gave it 3 stars here. Still it’s right that fans get to see the series out. David, by my count Nine has aired seven episodes of Canal Road – At 9:30 on 16 and 23 April, then at 10:30 on 30 April and 7 May. Hitch aired on 14 May and State of Origin Game I on 21 May. It then returned to schedule with episode 5 on 28 May at 10:30 and episode 6 aired on 4 June. Game II was broadcast on 11 June and episode 7 aired at 10:30 on 18 June. It was then pull from schedule again. From 10:30 pm on 25 June Nine broadcasted Day 3 of the Wimbledon Championships and on 2 July Nine covered State of Origin Game III and Day 9 of Wimbledon. At 10:30 pm on 9, 16 and 23 July (and scheduled for tommorow night) Nine has aired Primetime: Crime. So that means Sunday 10 August will be episode 8, Tuesday 12 August will be episode 9 and Wednesday 13 August will be episode 10. So for Nine to “burn off” the remaining episodes they will have to broadcast episodes 11, 12 and 13 during the second week of the Olympics. It has been terrible the way they have treated this Aussie drama but for those of us who have been following the show at least we get to see out the series during next month and that Nine is not hanging on until the summer. Wow BBT is really popular judging from these comments. I watched the first 2 eps and thought it was horrible. There were some funny moments and its better than…say…Arrested Development and Scrubs, and Kaley Cuoco is a charm, but overall it came off as a bad parody of Numb3rs IMO. As for Canal Road, bleh. Underbelly has infinitely more substance than that train wreck of a show. Kudos to Nine for trying something new though. Agree with everyone here woohoo! TBBT is hilarious,nerd humour at it’s best! I love 2.5 Men but i can live with it being off for a bit as we’ve had so much lately. BBT return from ep 5. BTW – Canal Road will be out on DVD in August, all 13 eps but only in 4×3 and not 16×9, WHY??? 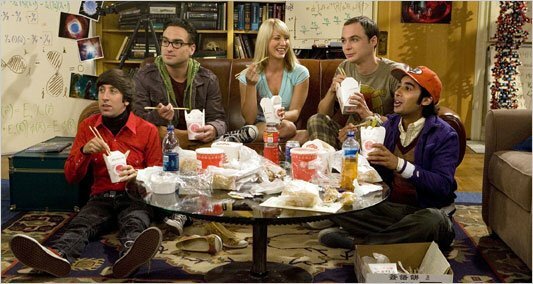 Seen the first season of BBT but can’t wait for it return to ch9 even if it’s just to burn it of during the games. Yes what are they doing with the other shows amir listed? Great news about Big bang Theory. Could it be that nine do take suggesteions from this blog? will they be starting from the begining? ACA remains. No sign of BBT elsewhere. Big Bang Theory is hilarious, especially the peanut reaction episode. It started off alright, then got much better.